All plates are 1" thick. 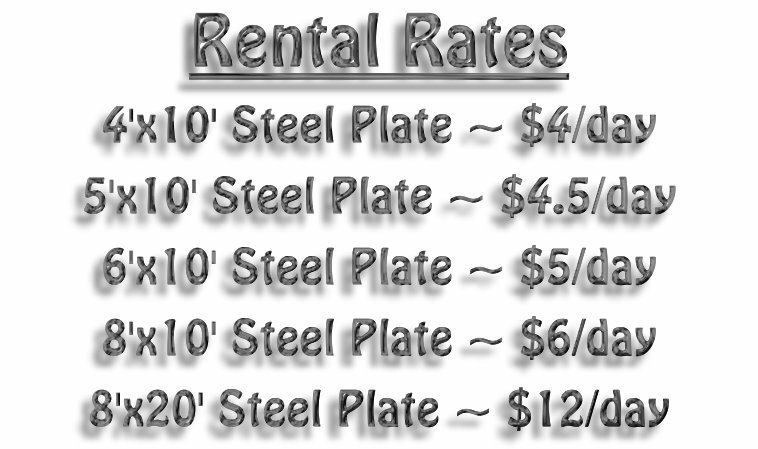 We also carry other sizes including 8' long plates instead of 10'. If you don't see what you want call and ask! Non-skid is available. Advance notice for non-skid is required. Call for details.